Highlander offers heated front row captain’s chairs in fabric, leather (XLE AWD/Hybrid) or perforated and ventilated leather (Limited/Limited Hybrid). The middle row features 60/40 split bench seats (LE FWD, LE AWD, and XLE AWD), or middle row captain’s seats (available on SE AWD and Limited). 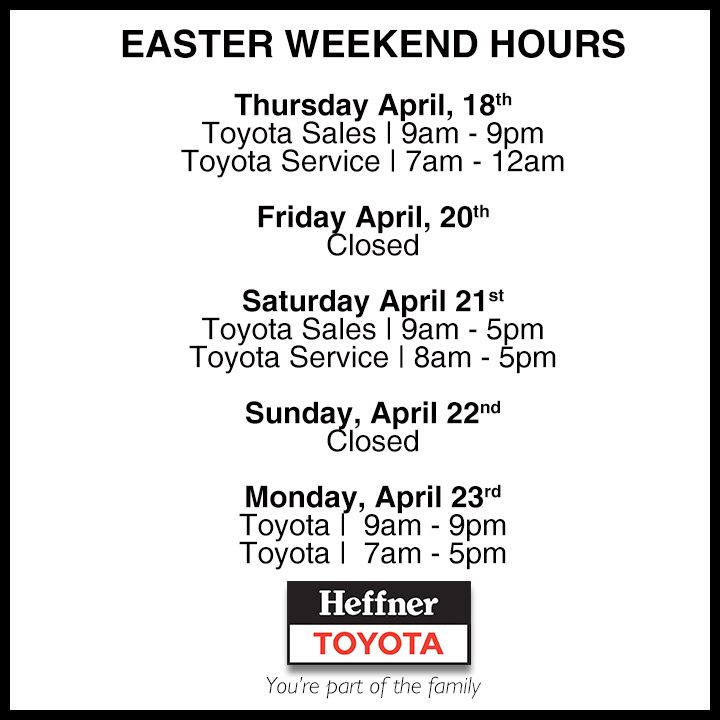 Highlander Limited adds standard heated middle seats, and the third row offers a fold flat 60/40 split on all models. 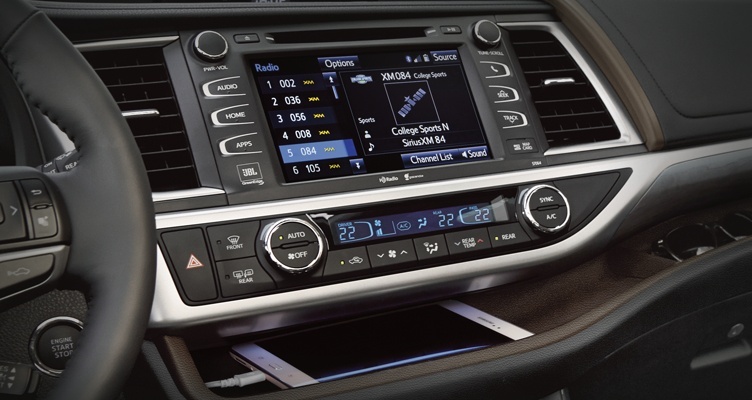 Comfort is a breeze with 3 zone independent climate control on XLE and above. 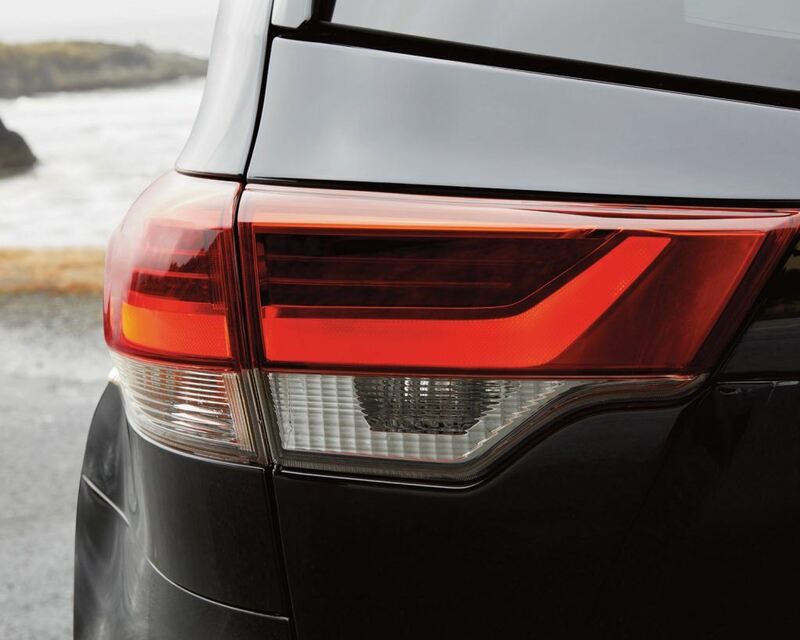 Highlander features an elegant new front and rear fascia design and LED tail lamps. 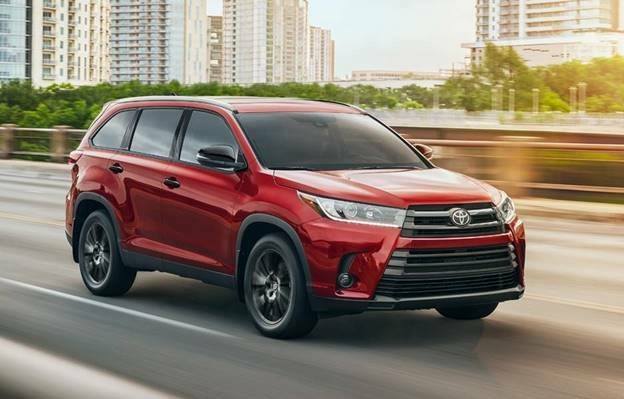 Premium features include standard 18” chrome-clad alloy wheels or available 19” black or dark chrome-clad alloys (Highlander Limited), and an available panoramic glass roof on Highlander Limited and Limited Hybrid. 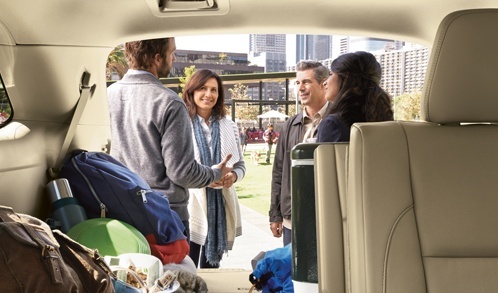 XLE and Limited Models include a remote-operated power rear door with jam protection. The rear door also includes flip up rear door glass with a sunshade. A tonneau cover is standard, to conceal your belongings in the cargo area. Available on Limited gas and hybrid models, Highlander’s Bird’s Eye View Monitor system includes four cameras, mounted on the front, rear and both side mirrors to create a panoramic view of your surroundings and display it on the 8” audio screen, helping you avoid obstacles at any angle. Highlander includes a 6.1” touchscreen AM/FM audio system with Dual 2.1 amp USB inputs, SIRI® Eyes Free, Bluetooth® capability, steering wheel audio controls, and a backup camera with the image displayed on the screen. XLE and Limited (gas and hybrid) models add SiriusXM Satellite Radio integration and AVN Navigation and feature a larger 8” display. 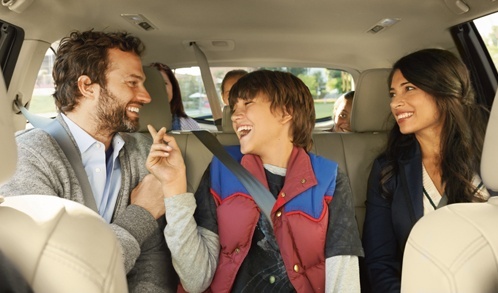 Available on gas and Highlander Hybrid XLE and Limited models, Driver EasySpeak integrates a microphone by the driver and can transmit audio through the rear speakers. The days of trying to get the attention of rear passengers are over. 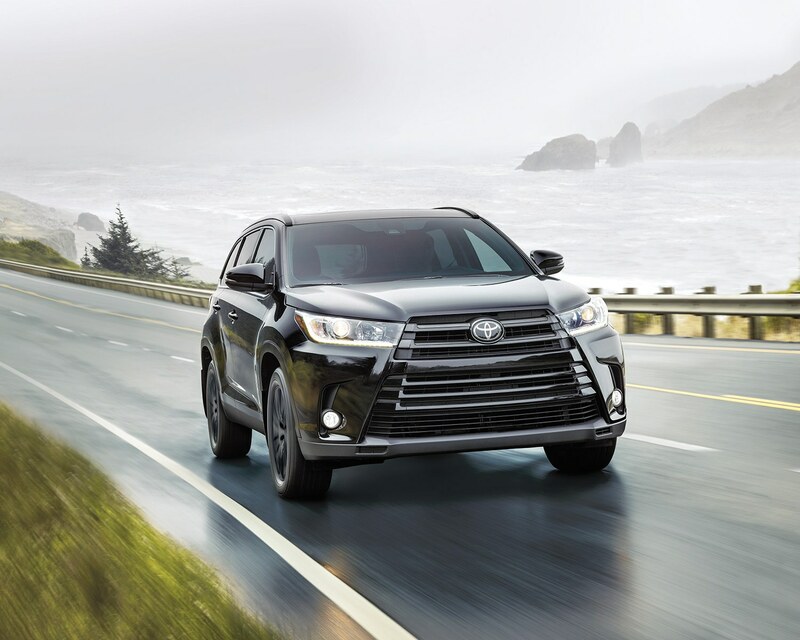 The 2019 Highlander features Toyota’s award winning D4S engine – an innovation that provides both high output and increased fuel efficiency. 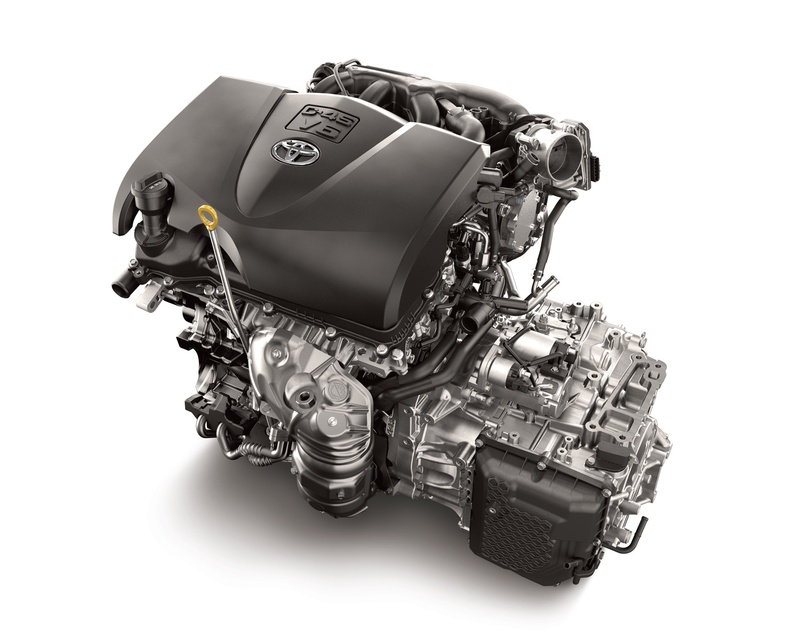 It’s mated to an 8 speed direct shift automatic transmission that offers excellent response. And with 2,268 kg (5000 lb.) towing capacity, you can take the boat with you. Better SUV fuel efficiency requires better technology. Enter Highlander’s Stop and Start Engine system (available on LE AWD and standard on XLE & Limited gas models) that reduces fuel consumption and idling emissions. Come to a full stop and the engine shuts off. It restarts seamlessly once the brake pedal is released. Toyota Safety SenseTM (TSS) is designed to help protect drivers, passengers, people in other vehicles on the road, and pedestrians (TSS-P only). TSS is comprised of multi-feature active safety packages anchored by automated pre-collision warning and braking. TSS is designed to support the driver’s awareness, decision-making and vehicle operation over a wide range of speeds under certain conditions. Packaged together in an integrated system, TSS features help address three key areas of accident protection: mitigating or preventing frontal collisions, helping to keep drivers within their lane, and enhancing road safety during nighttime driving. 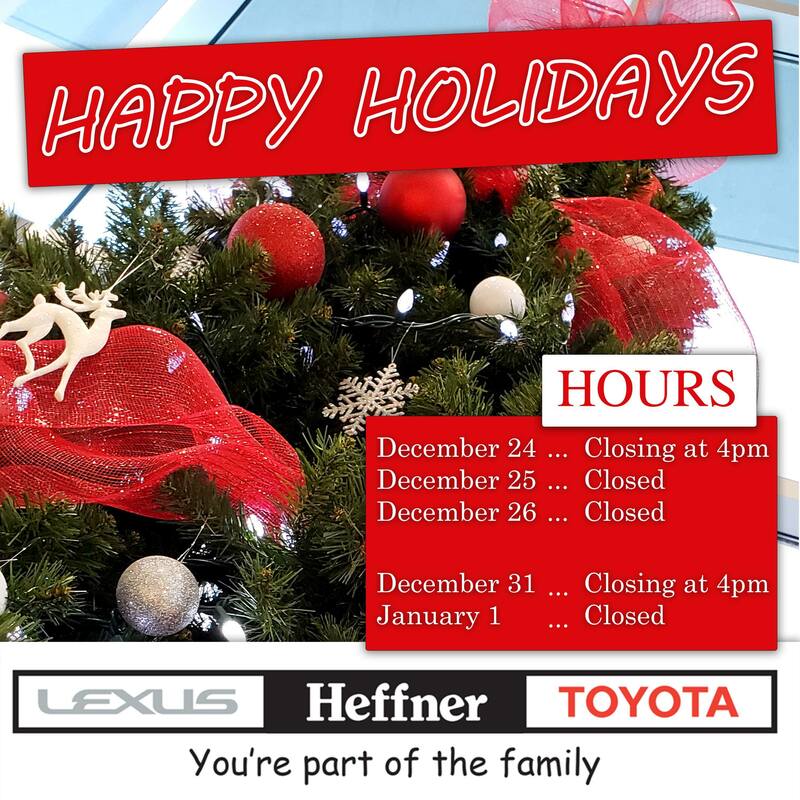 Always drive safely, obey traffic speed limits and laws, and focus on the road while driving. Available on Highlander Limited models (hybrid & gas) this parking assist system uses sensors and an audible warning alerting drivers to the position of objects and the distance of the objects from the vehicle. 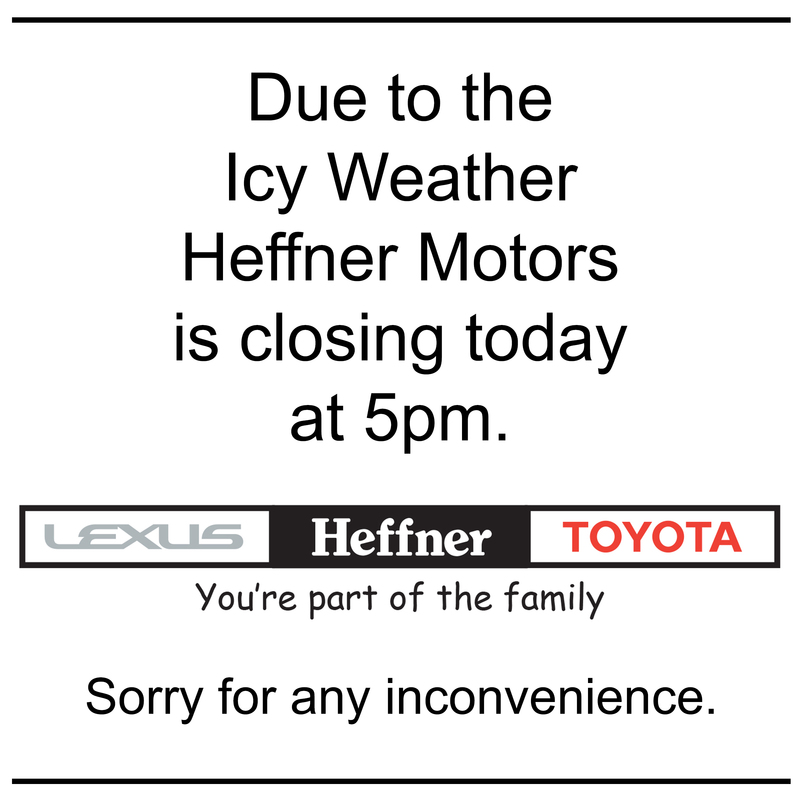 Available on LE AWD, XLE and Limited models (gas & hybrid) you can now change lanes with even more confidence. Blind Spot Monitoring detects when a vehicle has entered a blind spot on either side, then signals an alert if you attempt to change lanes. The Rear Cross Traffic Alert system detects vehicles approaching from the side using a millimetre wave radar sensor, and alerts the driver. 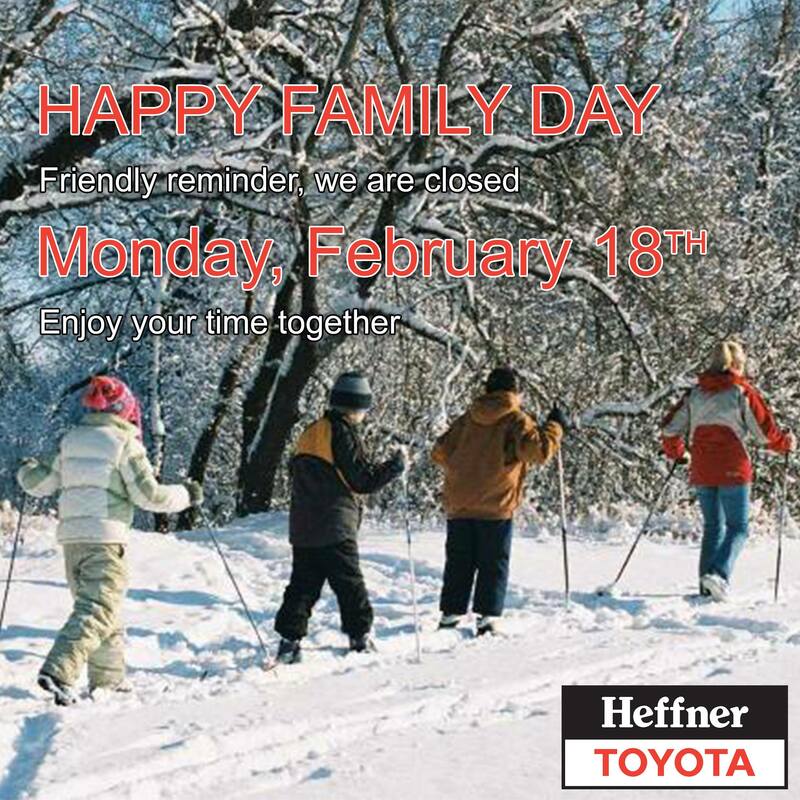 Toyota Highlander features dual stage airbags for driver and passenger as well as driver’s knee, passenger seat cushion and front and rear side curtain airbags. 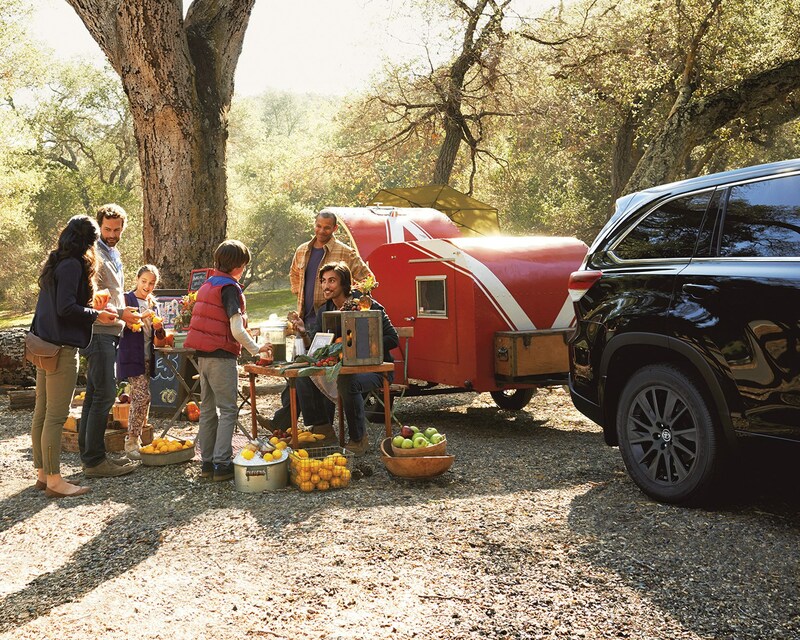 Build & Price your new 2019 Toyota Highlander here.